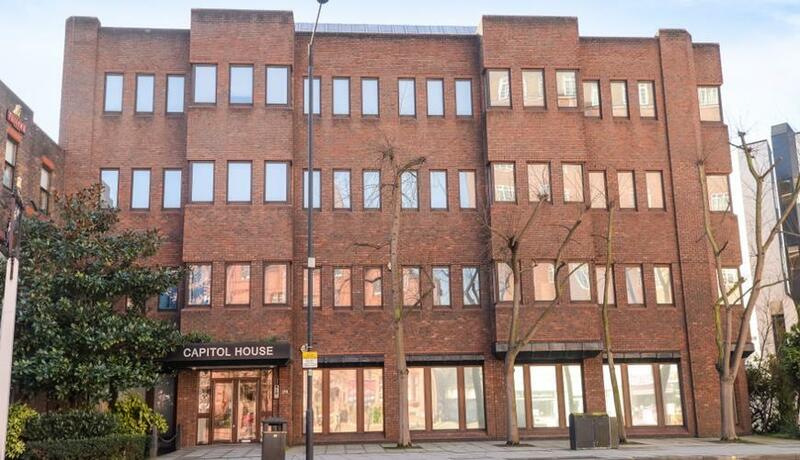 Capitol House is a 4 storey building for which the second floor is vacant and available to let. The floor was originally offered to open plan although the previous occupants have customised the layout to include a number of rooms. However these are constructed out of demountable partitioning and hence the floor could return to open plan or partial open plan dependant on the new occupants needs. Location: Capitol House is located on the corner of Hammersmith Road and Colet Gardens within close proximity to Hammersmith town centre and London underground station (Piccadilly, District, circle and Hammersmith and city lines). There are also a number of bus routes into London. The town has a wealth of retailers, bars and restaurants. Terms & conditions: The office suite is being offered on a new full repairing and insuring lease for a term to be agreed. The rent is £190,000 per annum exclusive. The lease is to be outside the Landlord and Tenant Act 1954 in regards to renewal and compensation provisions. Vat maybe applicable to the rent. Rent is payable quarterly in advance. Business rates: The combined current Rateable Value for the year to 31st March 2018 is £119,000. On this basis the Rates payable for the year to 31st March 2018 are in the region of £57,000. Any interested parties should check the accuracy with Hammersmith and Fulham business rates dept.